From 19-23 March 2018, GSTC Training Partner Botswana Tourism Organization (BTO) conducted a training class of the GSTC Sustainable Tourism Training Program (STTP), engaging 17 participants representing various units of BTO, including Ecotoursim Officers (Quality Services Department), Environment & Safety Officer (Environment & Eco-certification Division) and Grading Officers (Grading Division). The training class was led by the GSTC-Authorized Trainers Ms. Tshoganetso Carl-Ponoesele (Tourism Development Manager) and Mr. Thatayaone Mmapatsi (Senior Grading Assessor), as well as Mr. Mafila Richard Malesu (Environment & Eco-Certification Manager), and included a guest presentation by Mr. Mokganedi Ntana (Tourism Development Manager). 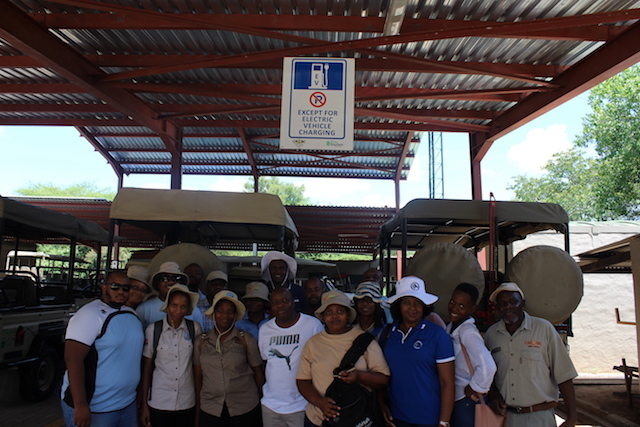 The training also served as an opportunity to discuss the Botswana Ecotourism Certification System (BECS) Ecotourism Standard, and where revisions or adjustments might be needed according to the GSTC Criteria. One such area highlighted by the training participants was the need to patent community products in order to protect the local intellectual property rights and to appropriately promote indigenous knowledge as part of tourism experience. 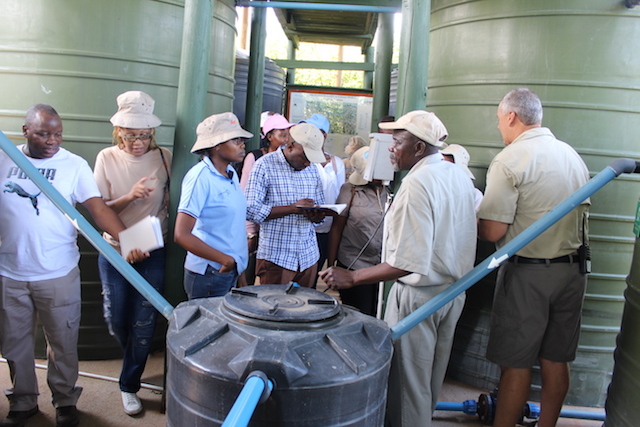 The training also included an onsite hands-on session at Chobe Game Lodge, an Ecotourism-certified safari lodge located inside the Chobe National Park. The Chobe Lodge manager and Mr. Albert Ndereki (who is the longest serving employee and the custodian of sustainability activities at Chobe) guided the training group through various sustainability practices implemented at the lodge, including the grey water reuse program and the solid waste recycling program. The Botswana Tourism Organization (BTO) is the leading body supporting the efforts to market Botswana’s tourist product, grade and classify tourist accommodation facilities, and promote investment in the tourism sector. With its long-standing commitment to conservation of its land, wildlife and cultural heritage, Botswana enjoys a solid reputation as a progressive sustainable tourism destination and one of the top safari destinations in the world. BTO is a GSTC Training Partner. The GSTC Sustainable Tourism Training Program (STTP) offers training opportunities around the world (both online and in-person) throughout the year for tourism professionals interested and engaged in sustainability. See upcoming training options here and contact (training [at] gstcouncil.org) for additional information.